Posted on 30, March 2016 by EuropaWire PR Editors | This entry was posted in Awards, Education, Science, United Kingdom and tagged Novartis Medal and Prize, Professor Anne Dell, Professor Doreen Cantrell, Professor Sir Pete Downes, University of Dundee. Bookmark the permalink. Dundee, Scotland, 30-Mar-2016 — /EuropaWire/ — Professor Doreen Cantrell, Wellcome Trust Principal Research Fellow and Dean of the School of Life Sciences at the University of Dundee, is to be awarded one of the UK’s most prestigious honours in biochemistry, the Novartis Medal and Prize. Professor Cantrell has been chosen to receive the 2017 Novartis Medal and Prize by the Awards Committee of the Biochemical Society. The prize is awarded annually in recognition of contributions to the development of any branch of biochemistry and is open to candidates of any nationality working in the UK and Ireland. 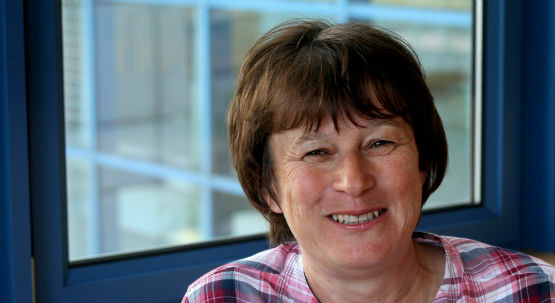 Professor Cantrell holds a Chair in Cellular Immunology at Dundee. She is internationally renowned in the field of immunology as one of the world’s leading authorities on the biochemical regulation of T lymphocytes, the white blood cells which control the immune system and which are a factor in many diseases. Professor Anne Dell, Chair of the Awards Committee, said, “The Biochemical Society’s Awards allow the excellent work of high calibre scientists at all stages of their careers to be recognised and rewarded. The 2017 Award lecture series will showcase the outstanding contributions to molecular bioscience that the winners have made during their careers”. Professor Cantrell was awarded a CBE in the 2014 New Year Honours list. She was elected a Fellow of the Royal Society in 2011. Professor Cantrell joins a number of other Novartis Medal and Prize winners in the School of Life Sciences including Professor Grahame Hardie, Angus Lamond and Ron Hay – who were consecutive winners from 2010 to 2012 – and Professor Sir Philip Cohen. Life Sciences at the University of Dundee has grown significantly both in size and stature over the last few years. The £50million Discovery Centre was added to the School’s facilities early last year, at around the same time Dundee was named the top-ranked university in the UK for Biological sciences in the Research Excellence Framework, the major assessment of research quality in the UK. The University of Dundee is now the central hub for a multi-million pound biotechnology sector in the east of Scotland, which accounts for 16% of the local economy. The Biochemical Society (www.biochemistry.org) works to promote the molecular biosciences; facilitating the sharing of expertise, supporting the advancement of biochemistry and molecular biology and raising awareness of their importance in addressing societal grand challenges.